As a pet owner, you know choosing the right veterinarian is one of the most important decisions you make. Our Everett veterinarians at Veterinary Medical Center want to make that decision easy by providing compassionate, comprehensive veterinary care to dogs, cats, dairy cattle, sheep, goats, rabbits, ferrets, gerbils, rats, mice, hamsters and guinea pigs. As pet owners ourselves, we understand your pet is a treasured member of your family. The entire team at Veterinary Medical Center will treat your pet as one of our own. Veterinary Medical Center (known locally as "the VMC" or "Vet Center") was founded in the 1950s by Dr. Joe Manspeaker and moved to its current location in 1971. Dr. William Tarpley assumed ownership of the practice in 1978 and was joined by Drs. Karen Morris and Bruce Mueller in 1994, and Dr. Lindsay Turnbull in 2009. These four doctors are now co-owners of VMC. 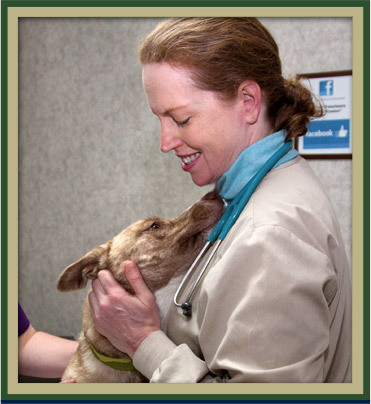 With the addition of Dr. Sarah Barefoot in 2012, the practice has expanded to include five veterinarians. We continue to invest in state-of-the-art technology that allows us to perform advanced medical and surgical procedures. Your pet's lifelong good health begins with Veterinary Medical Center's preventative wellness examinations, vaccinations and treatments. We believe identifying medical issues before they become serious is the key to long-term good health and to keeping the lifetime cost of caring for your pet as low as possible. For our established dairy clients, we offer these preventative treatment services in the form of monthly farm visits. If your pet becomes sick or injured, we're here to provide the compassionate, skilled veterinary care your pet needs. Our pet diagnostic and surgical capabilities and in-house laboratory mean we can work quickly to get you an accurate diagnosis and treatment recommendation, minimizing your pet's discomfort and your worry. Should an emergency arise after hours, one of our veterinarians is always on call 24 hours a day, 7 days a week, 365 days a year. 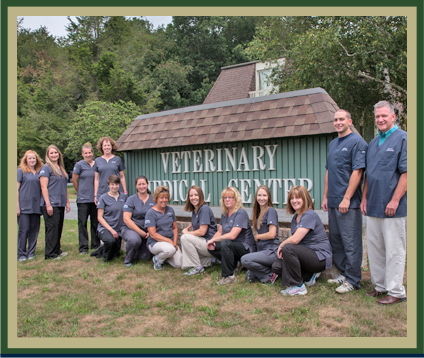 The staff at Veterinary Medical Center has deep roots in the Everett, PA community. We owe our continued success to our neighbors and we're always seeking ways to give back. We regularly sponsor community events such as "Bark in the Park" and "Christmas for Kids." We also work with the Everett Free Library and are a regular presence at the Bedford County Fair. We also work with the Bedford County Humane Society and Aid for Animals. We're committed to "Lifelong Learning" programs for Veterinary Medical Center's team of veterinarians, registered veterinary technicians and veterinary assistants. Because we strive to improve the quality of life for all of our clients' pets, team members at Veterinary Medical Center are encouraged to participate in programs that focus on the most current information and recent developments in veterinary medicine. Continuing education features may include the latest diagnostic techniques, comprehensive information about medical disorders and beneficial case discussions and workshops. Our goal is to ensure you have access to the most knowledgeable, well-informed staff. We are proud to offer that here at the Veterinary Medical Center. We accept cash, check, debit, Visa, MasterCard, Discover and Care Credit. Payment is due upon completion of services.